A little while back, I was thinking about stuff…you know just random thoughts, when Madge came to mind. 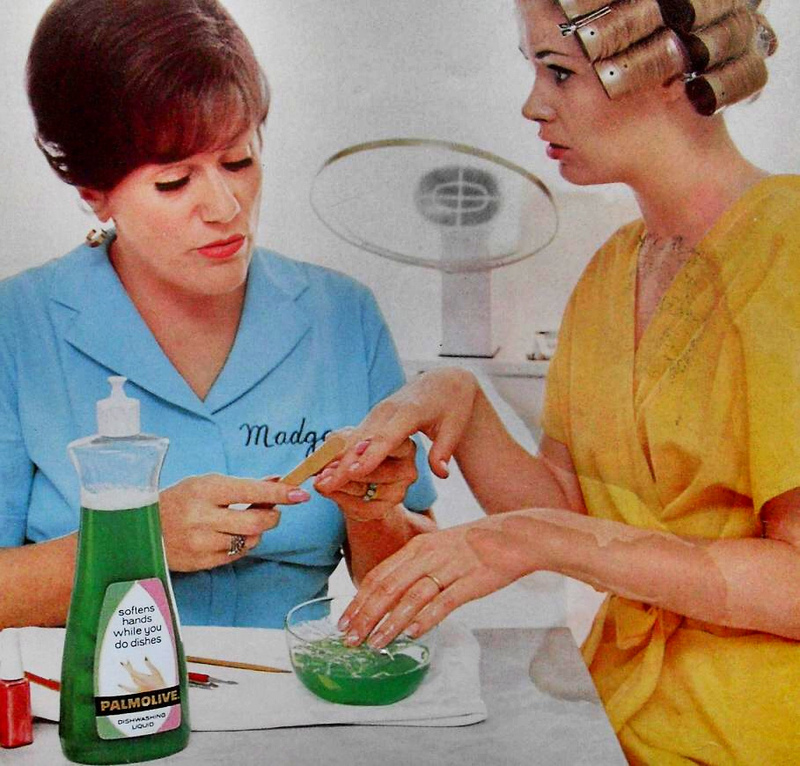 How many of you remember Madge the manicurist, who soaked her client’s hands in Palmolive dishwashing liquid? That commercial ran for many years, and was on about the time I started as a preteen, to do my nails. I naturally, poured some dishwashing liquid into the plastic container, along with some warm water and soaked my hands and feet. And you know, I’ve done it for almost 40 years, without a question as to why, “dishwashing liquid”. Probably because I could hear in my mind Madge saying, ”it softens your hands while you do dishes, you’re soaking in it” with the visual of her in a salon and the woman’s hand in the bowl.” That one little commercial, created a life long habit! My dish washing liquid also doubles as my manicure treatment! I know, I know some or most of you probably go to the salon to get your manicure and pedicure. I did for a while in my 20’s but ended up with some kind of fungus in my toes. Gross. Yes. Anyhow, it took a couple of years to fully get rid of it and I wasn’t exactly sure where I got it from soooo, I went back to my old ways of doing it myself. Feels safer that way. 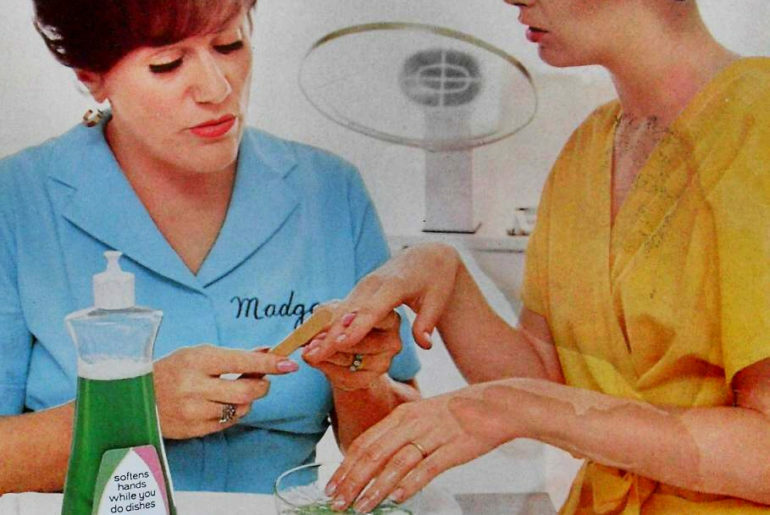 I’m curious to know, who else out there old enough to remember Madge, actually uses dishwashing liquid in their manicure/pedicure routine? Sidenote: A funny coincidence, not a word of a lie. As I was writing this I decided to go on twitter (yeah, easily distracted at times) and came up on one of my favourite radio show/podcasts called, Under the Influence, with Terry O’Reilly offering a soundcloud virtual stocking stuffer gift of a podcast on you wouldn’t guess! How Marketing Created Rituals. Crazy right? If you are interested check it out.